Sunbelt Supply Co. is a world leader in the supply and distribution of manual and automated valve products and accessories. 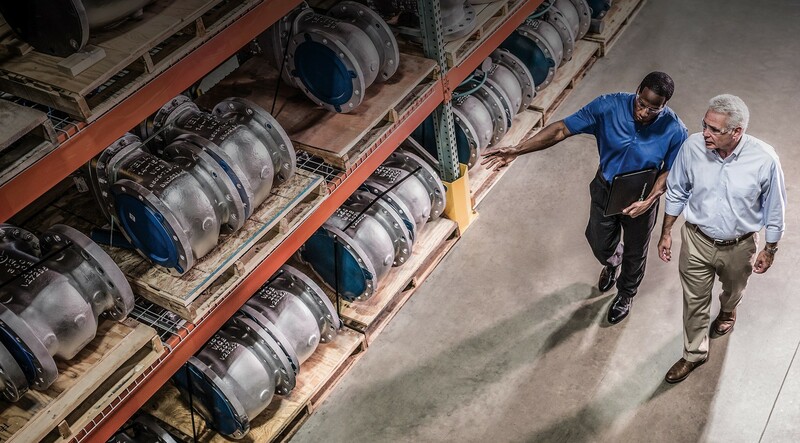 We maintain one of the largest inventories of valves, actuators, and accessories in North America. More than 50 major manufacturers are stocked within our 185,000 sq. ft. flagship distribution center in Pasadena, Texas, just outside of Houston. In addition, we stock inventory in our 22 other locations in the U.S., Canada, Europe, Saudi Arabia, and China. We provide in-house automation services that are vertically integrated to maximize cost savings for our customers. This includes CAD design and drawings, CNC machining, fabrication, assembly, and testing. In addition, we are an industry leader serving the upstream, midstream and downstream end markets and the industries of oil & gas exploration and production, pipelines, refining, petrochemical, chemical, power, mining, pulp and paper, pharmaceutical and food & beverage. Our dedicated employees are among the most experienced and knowledgeable in the industry. With a commitment to providing dependable, consistent service, we offer the guidance and assistance you need, no matter what size the job. With 20 strategically located facilities within the United States and 4 international locations, Canada, Europe, China, and Saudi Arabia, Sunbelt Supply Co. provides complete MRO contract and project management expertise both domestically and internationally. We are the FloWorks International LLC company, the Flow Solutions Experts, and world leaders in valve and valve automation. We are a FloWorks International LLC company, The Flow Solutions Experts, and world leaders in valves and valve automation. Whether you are domestic or abroad, Sunbelt Supply Co. can assist with any of your manual and automated valve needs.